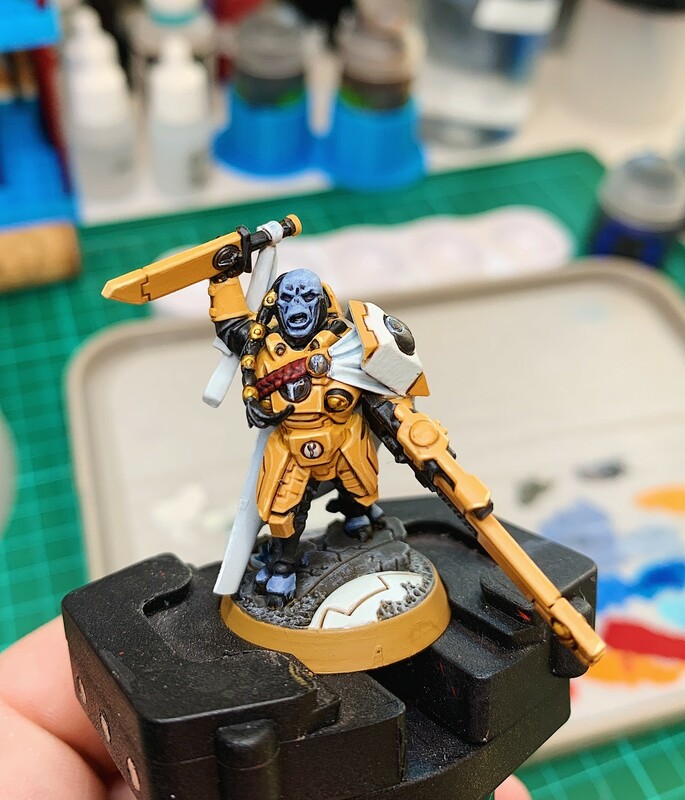 Welcome to the Tau Empire and “The Greater Good”. A most enjoyable game of #StarWarsLegion on Monday night! The rebels managed to just nip it in the end for the win, though Darth Vader turns out to be a MONSTER up close! Scary stuff... Fab game! Anyone else play? Happy #miniatureMonday everyone, here is a shooty cow chap i painted a few years ago. Its #MiniatureMonday again! Here is a Putrid blight king I painted. Happy mini painting friends. Thanks for the reminder @Archiviste_Dragontigre! Here&apos;s my #MiniatureMonday contribution! Some goblins I&apos;ve just finished off for a friend&apos;s classic Heroquest board game! @Ben @Archiviste_Dragontigre did not know #MiniatureMonday was a thing but sounds good to me. #MiniatureMonday a dozen sinister cult fanatics, made from the Frostgrave plastic Cultists box. Using these as fools tricked into serving the vampire countess in my undead Dragon Rampant army. I will soon move to another flat so I&apos;m trying to get rid of stuff, even little things. So... pictures before the waste basket. I sculpted this in the 90&apos;s, when pop culture was still an expensive niche and DIY was a better option. It&apos;s around 11cm/4 inches tall, made of self hardening modeling paste. Played a few rounds of #WhatATanker from #TwoFatLardies tonight to learn the rules... Loved it! 😃 Can&apos;t wait for a big game with friends on Saturday! #MiniaturesMonday A pair of Ogres I painted up with freehand tattoos.